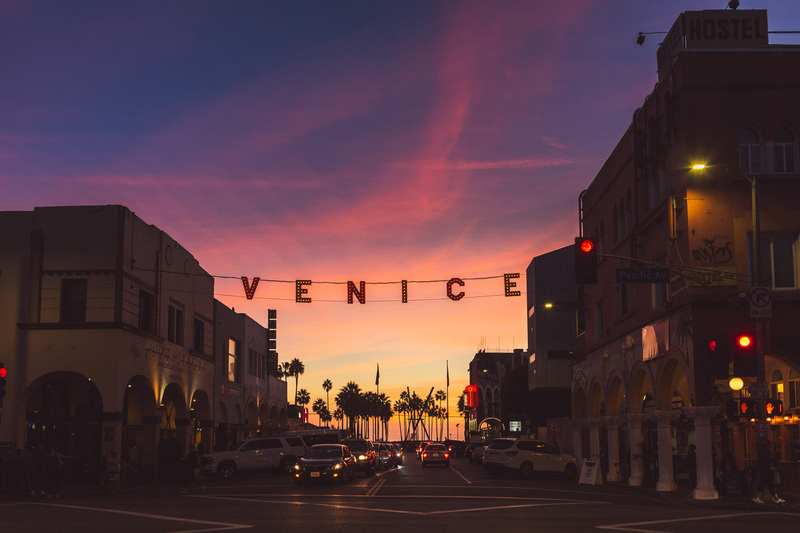 Located on the sandy shores of Southern California, Venice Beach is home to a thriving arts culture, beautiful beaches and a host of unique boutiques. “I love how diverse the city is and what it’s growing to be,” says Kayla Griffin, local resident and owner of the town’s Chick-fil-A restaurant, which opens in December. “There’s a real focus on supporting local businesses and preserving Venice’s unique character,” she says. Griffin, who moved to Los Angeles in 2010, shares her favorite spots in this seaside town that fills the three square miles sandwiched between Santa Monica and Playa del Rey. Abbot Kinney Blvd., named for Venice Beach’s founder, is lined with unique shopping and dining destinations. “Dinner at Abbot Pizza Company is a must,” she says, adding that the restaurant is known for its offbeat pizza toppings. Save room for dessert, and stop by Salt and Straw for ice cream (Griffin’s tip: order the honey lavender). 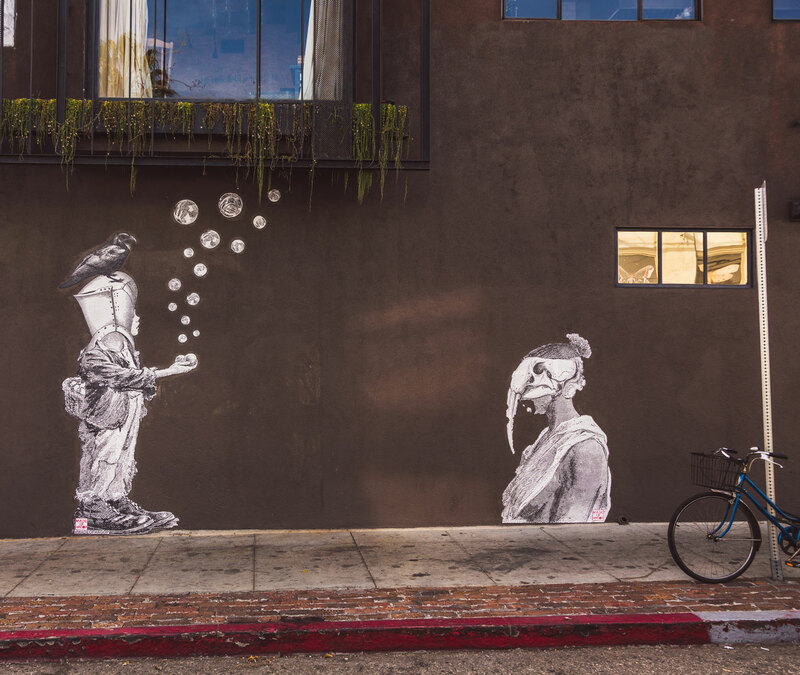 The best time to visit Abbot Kinney Blvd.? Fridays. The first Friday of the month, to be exact. That’s when the boulevard’s boutiques stay open late and local food trucks are open for business. It might seem touristy, but every Venice visitor needs a selfie under the iconic Venice sign, stretched across Winward Avenue at Pacific with three-foot-high glowing letters welcoming visitors to town. While not the original sign, it is a replica of the one displayed in Venice Beach at its founding in 1905. 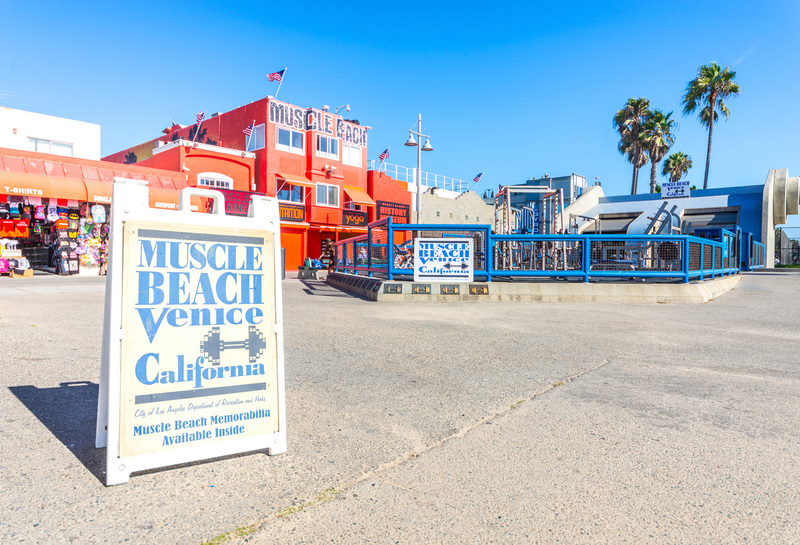 Muscle Beach, home of the iconic outdoor weightlifting platform just steps from the sand, is an popular among locals and tourists alike – even if you’re not pumping iron. Griffin likes to watch the pickup basketball games on Muscle Beach’s many courts, although, “I’ve never jumped in the game myself. The lines are so long!” she says. When Abbot Kinney introduced the world to Venice Beach in 1905, he intended for the town to become the Venice of America. 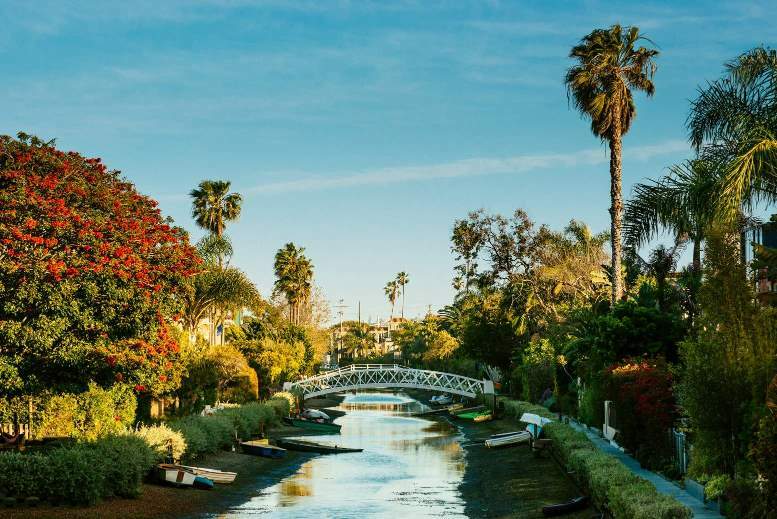 Like its Italian counterpart, Venice Beach is home to a series of canals perfect for a quiet stroll. While you can no longer take a gondola along the waterways, the 1.5 miles of man-made canals are lined with walking paths for visitors to explore. Okay, it’s more like a sidewalk, but the Venice Boardwalk can’t be missed. 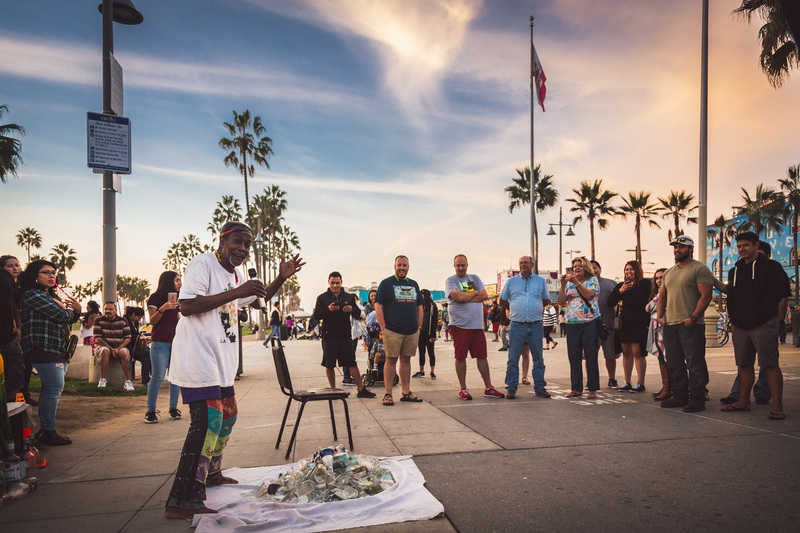 It features a host of funky artists and street performers that represent the heart of Venice culture. It’s also home to colorful murals created by local street artists. “The boardwalk has the best people-watching and entertainment in the whole city. The energy is amazing,” Griffin says.